It was December 2013 when we were open for business with our new holiday homes at Wakes Hall in Wakes Colne. Since that time we have been delighted to welcome many guests on a regular basis. a special weekend break in luxury lodge with hot tub. seeking a weekend break in close proximity to where they live. We are within 60 minutes by train from London/Liverpool Street. visiting family/friends possibly living further afield and returning home. attending a wedding celebration/family function and requiring a place to stay. guests who find the practicalities of a single storey accommodation all at one level, to be user friendly. re-locating short term due to building works being carried out at home. work related, ie, working short term in the locality and seeking luxury, quality, self-contained accommodation. Our objective was and still is to create a place to stay which is more comfortable than staying at home. Clearly, if any readers have any recommendations to make to us as to how we can improve the experience, we would welcome your comments. Last year we have seen 20% of our bookings are repeat guests – and almost 18% of those have been multiple times this year! We are grateful to those guests who have supported us on Trip Advisor and are delighted to have, for the second year running, received a Certificate of Excellence which is fantastic news! 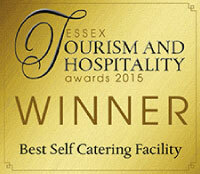 In April we welcomed our 1,000th booking which we were extremely proud of! We offered a bottle of champagne to the guest who made the 1,000th reservation and congratulations to Aprille and her friends on being the lucky recipients! A £50 discount from every fourth booking. In addition, we offer discounts and special offers on our Facebook and Twitter pages, not to mention our new website, www.wakeslodges.co.uk . What I think is really exciting is to see how the landscape has matured over the last three and a half years, particularly the landscape around the lodges and lake. It certainly has made each of the lodges more private as the landscape has grown up between them. 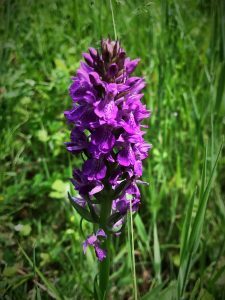 In addition, we had an exciting find – our first wild orchid in the meadows, and a resident swan, together with geese and ducklings on the lake. For those who have already visited us they will note that all the appliances, heating and hot tubs are powered by electricity. To safeguard the welfare of our guests we have installed a large generator which automatically provides electricity in times of a power cut, including the use of the hot tub. 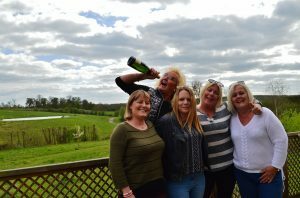 Finally, I am, as always, hugely indebted to the team which makes Wakes Hall Lodges what they are including housekeepers, cleaning staff and back up staff in our office who take bookings by phone or for those who prefer to contact us. With all good wishes for the summer and autumn 2017.